Georgiana Houghton was creating abstract paintings in the 1860s and 70s, long before the abstract movement took off. But what's really impressive is how she went about creating them. Houghton was a devout woman who believed that communicating with spirits could bring a person closer to God. 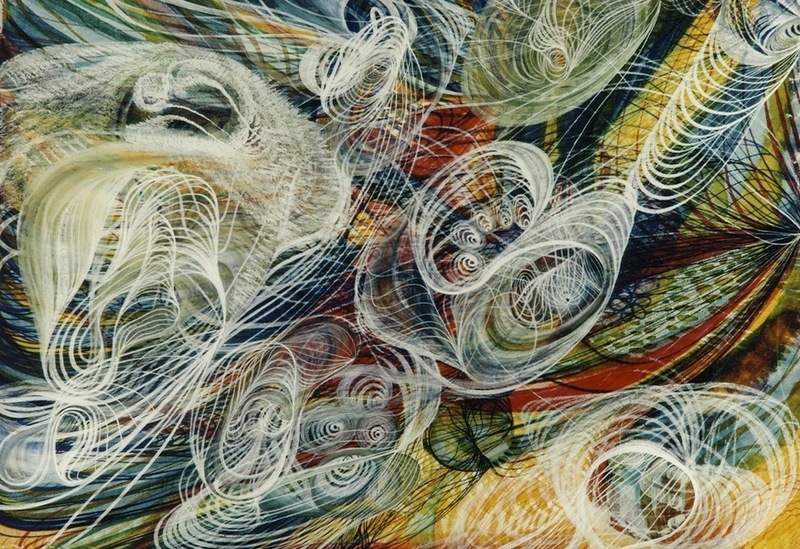 She trained as both an artist and a medium, combining the two to create what she called 'spirit drawings'. The spirits she claimed to have channelled into her art include family members, renaissance artists Correggio and Titian, and several archangels for good measure. Houghton then went and spent her life savings on holding an exhibition on Old Bond Street. She even asked the spirits on her pricing strategy — perhaps a reason why her show was a commercial failure. This exhibition pulls together 20 of the spiritual drawings, back in the UK for the first time in over 150 years. Houghton's technique is labour intensive and heavily layered, so much so that these watercolours have a depth that's hard to achieve without using oil paints. But though the works are fun to explore, they offer little more — are certainly don't reach the heady heights of Correggio and Titian. Thankfully the story of how they came to be provides entertainment value enough. 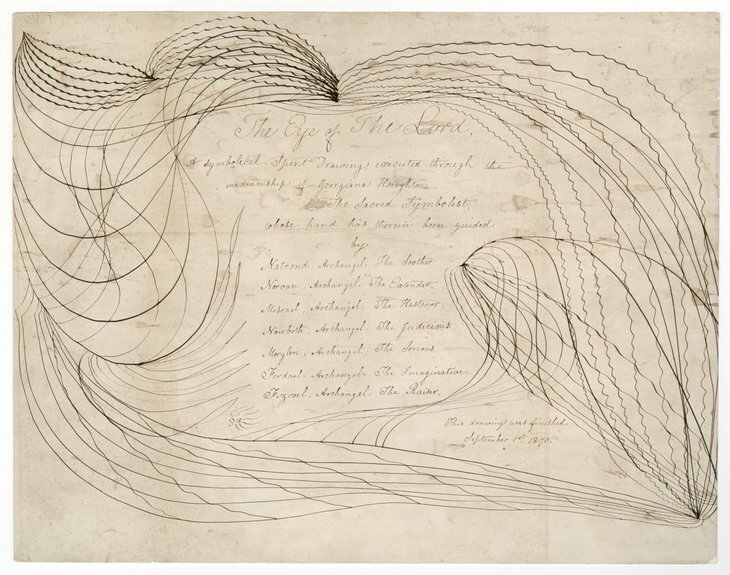 Georgiana Houghton: Spirit Drawings is on at The Courtauld Gallery, Somerset House until 11 September. Tickets are £9 for adults, concessions available, and includes entry to the permanent collection.